JCPenney will be open at 4:00am on Friday. 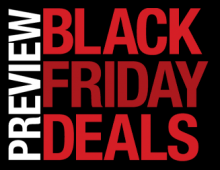 You can preview the Black Friday deals on Facebook now so you can be prepared. They are giving away a FREE Disney Snow Globe, no purchase necessary while supplies last. Stores Nov 12, 2011 in BlackFriday, JCPenney · Expired! JC Penney Newsletter and Coupons! We just got a new JC Penney right by our house. It’s really nice and I love the prices. 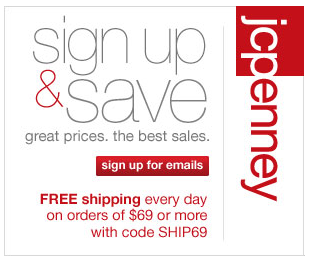 Sign up for JC Penney Savings Newsletter and get great in-store and online offers. You’ll also get great sale tips and coupons sent right into your email. I just got a $10 off $10 coupon via email. You really can’t beat that! Sign up for their newsletter at JC Penney now to start saving.